"As engaging, thoughtful and inspiring as its subjects"
"Game Face gives hope and understanding." "The compelling sports documentary, Game Face just might change the face of sports and is a definite game changer in the world of documentary film. Beautifully shot and sensitively and intelligently constructed." 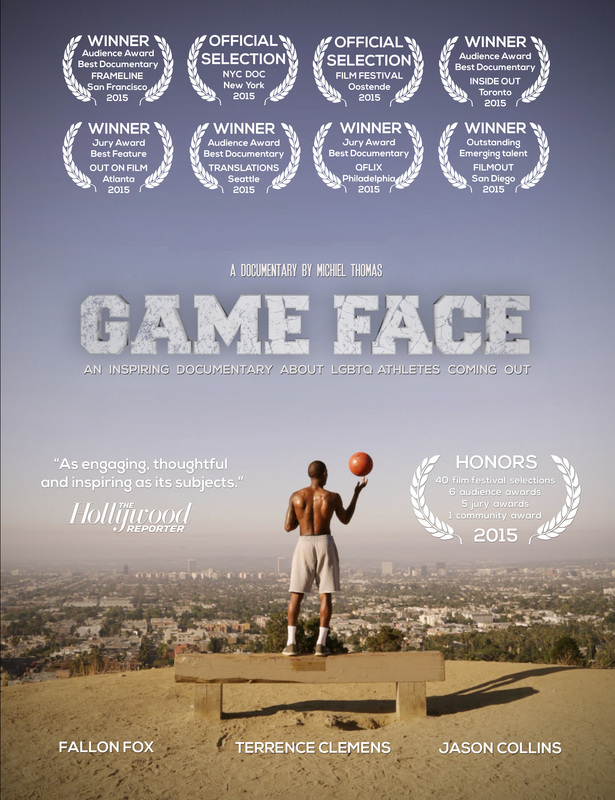 The award-winning documentary “Game Face” tells the parallel story of Fallon Fox, MMAs first transgender pro fighter, and Terrence Clemens, a young, ambitious and talented college basketball player in Oklahoma, who happens to be gay. Both realize that coming out will be necessary for their own sense of integrity and peace of mind, but the lack of a clear roadmap and the unpredictable consequences instill understandable anxiety and caution. Both Fallon and Terrence generously shed light on the struggles they deal with in their quest of finding their true selves. Jason Collins, the first openly gay NBA player, shines as a supportive mentor to Terrence.